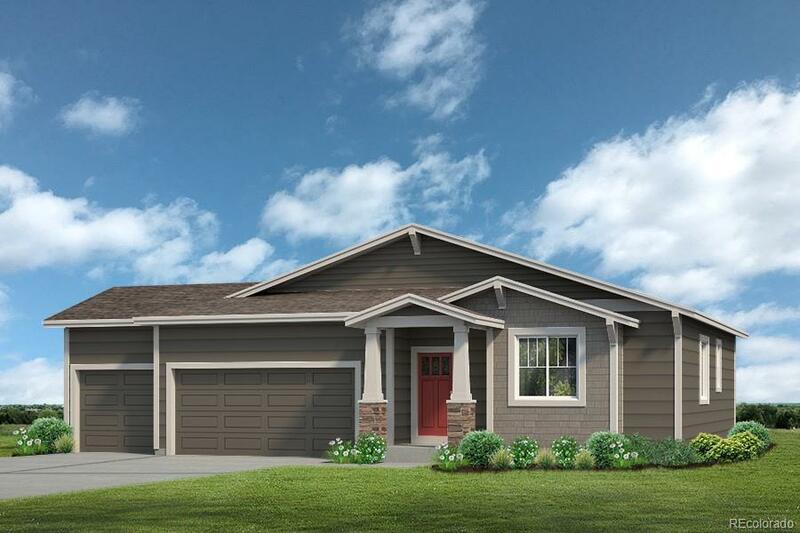 MOVE-IN READY $3000 Bldr incentive + preferred lender credit avail! 3Bd, 2BA ranch w/open flr plan, loaded w/all the upgrades you could want. Large corner lot across frm neighborhood pool w/some mountain VIEWS! White cabinets, granite counters & island, pantry, SS appl w/double oven & fridge, gas FP, laminate flrs in great rm/kitchen/DR/entry. Mstr bd separated frm other bds, w/laundry rm nearby. Unfin bsmt w/9ft walls, 3-car gar. & more. Front yard landscaping w/non-potable water. HOA $35/mo. NEW CONSTRUCTION NOTES: 2x6 framed ext walls, 95% efficient E-Star rated furnace, 50-gal high efficiency hot WH, kitchen granite counters, SS appl, landscaped front yard w/ non-potable water, window blinds on front windows & 1-yr Bldr warranty w/ scheduled visits 1st yr.